Designing a nursery is one of the most fun parts about preparing for baby, and you’ve probably already started pinning some ideas to your Pinterest board. If you have limited space in your nursery room, or if baby will be sharing a room with you or a sibling, it might seem like it’s impossible to fit everything in. But we’ve seen nurseries in even the smallest of spaces, and they are just as cute and functional as ever. Here’s how to fit those big dreams into a small space. Anything mini is automatically 10x cuter, and mini cribs are no exception. We love the Babyletto Origami Mini Crib because it’s compact AND portable. It’s our favorite solution for Grandma’s house because it has a small footprint when in use, and, true to its name, folds away for easy storage. A car seat isn’t the only important safety purchase for your baby. Think about what a baby will spend most (over half, actually) of their time doing in the first year (hint: parents will be doing less of it)– sleeping! Since so much time will be spent snoozin’, it is crucial to get a mattress that will leave baby comfortable and safe throughout the night. 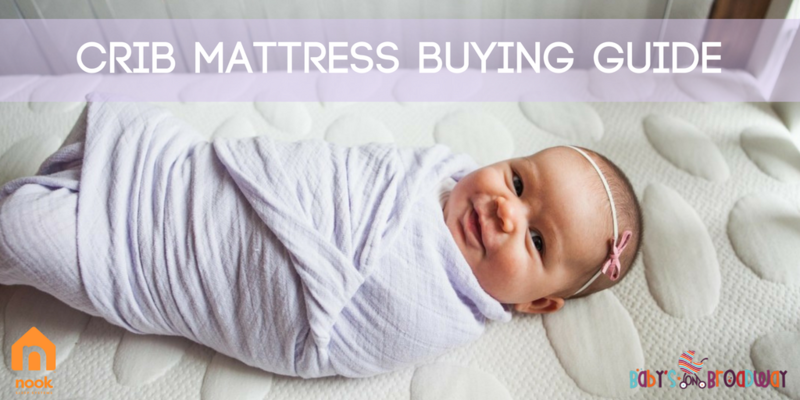 If you don’t have the first clue about what to look for in a crib mattress, you’re not alone. For most parents, the mattress is an afterthought and they just get the first one they can find because, really, how in the world do you tell a good mattress apart from a bad one? Here are a couple things to look for. This is one of the most important features of a crib mattress, and we cannot stress it enough. Make sure that the mattress itself and the cover are breathable to allow airflow around baby as he sleeps. Not only will this keep baby cool and comfortable, leading to a better night’s sleep for all, but increased circulation ensures that baby will still be able to breath clean air even if he rolls onto his belly. Studies suggest that having increased air circulation in the nursery and crib area reduces the risk of SIDS by 70%. 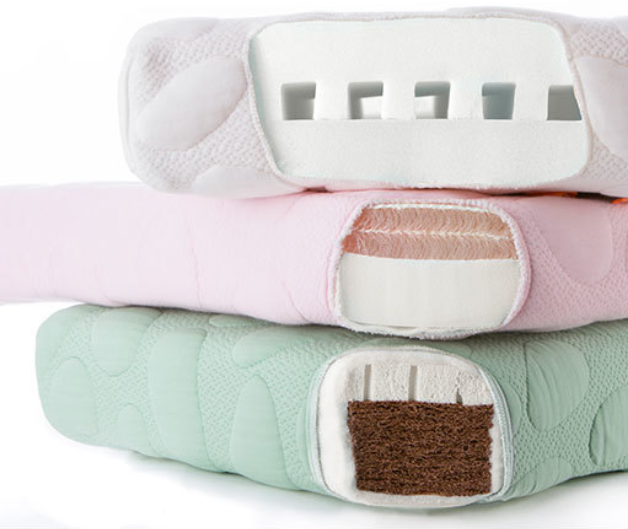 Nook mattresses are so breathable that your baby can actually breath right through it! Expert design, pebble textures fabric, and special fabric weaves make Nook one of the safest mattresses for baby to sleep on. We do our best to protect our children and ourselves from products that contain harmful chemicals, but who would think that a mattress could be harmful? Unfortunately, safety standard for crib mattresses are highly unregulated; one of the only requirements is that it is flame retardant. Well, sometimes those flame-resistant chemicals can be pretty nasty. Even a little exposure to chemicals over a long period of time can have negative health effects, which is why it is important to make sure that what your child is sleeping on is completely non-toxic. Nook uses completely natural flame-retardants and keeps their materials as natural as possible–even using an organic coconut coir for natural breathability in the Pebble Pure. Accidents happen, but if clean up if super easy, its like they never did. While your mattress should be waterproof, take a look at how that waterproof-ability is achieved. You don’t want it to affect the breathability, so a plastic-y feel is no good. Nook soaks their mattresses in a NanoSphere® bath so the mattress is still completely breathable but still water-resistant. Also watch out for mattresses with quilted textures or stitching along the edges, as it can be a breeding ground for bacteria and even let some moisture through to the inside of the mattress (which leads to worse things, like mold). Here’s the test: place your hand on the mattress and push down; if it pops right back up, it should be firm enough for an infant. It can be difficult to tell sometimes, so comparing mattresses side by side can be helpful. Nook makes 3 different levels of crib mattresses with gradated firmness, and all are equally suited for safe sleeping. Another plus of Nook’s mattresses is that they actually have a firmer infant side and a softer toddler side to maximize comfort as your baby grows. Don’t let price tags scare you. Yes, you could buy a $30 mattress that would get the job done, but is it really going to hold up through all the (inevitable) accidents and last through the toddler years? If you invest is a quality mattress right away, it will last you multiple years (even multiple children) without getting icky buildup. Not to mention, the mattress itself is superior in safety and comfort to the cheaper alternatives. Prices can range from $30 to $400, but there are some great middle-ground price-points out there, like the Nook Pebble Air, which just happens to be our favorite. Browse all of Nook’s incredible products here on our website!